For bonding trim fabrics (except vinyl), trunk linings, floor mats, rugs, silencer pads and KB boards. 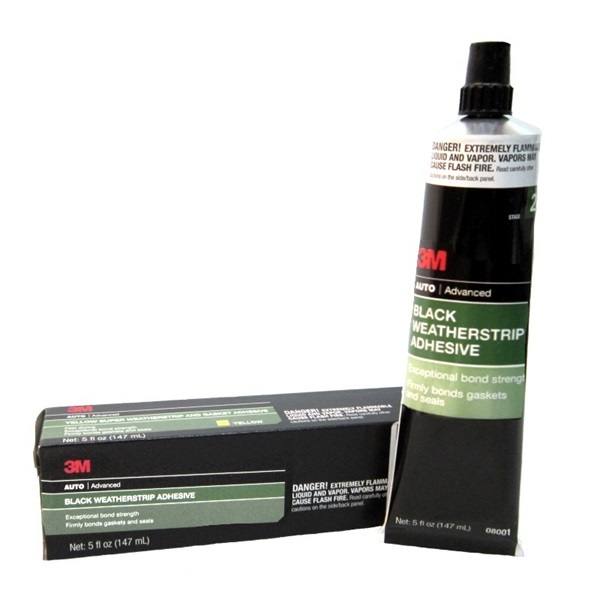 Also used as a good general purpose rubber cement. Had quick tack, will not bleed through fabric. 5 oz. tube.